"Let's face it - there is an overwhelming amount of gowns out there. From strapless to V-neck, A-line to mermaid, how is one woman expected to navigate the seemingly limitless selection to locate the perfect pageant dress? Instead of shopping blindly without an idea of what you are seeking, look to some of Hollywood's most glamorous stars to gain inspiration. While she began her career playing tomboy Mary Camden on 7th Heaven, Jessica Biel has blossomed into a fashion icon. Not so surprisingly, the starlet didn't disappoint at the recent German premiere of her film, The A-Team. Biel dazzled on the red carpet, donning a powder blue strapless number that highlighted her flawless physique. Still, the gown's most eye-catching feature had to be the sparkling intricate beading. If you are preparing to hit the stage, a gown similar to Biel's may be the perfect pageant dress - the sparkling adornments will grab everyone's attention, while the classic cut will showcase your fit figure. And, like Biel, make sure your frock fits you perfectly - an ill-fitting gown can be unforgivably unflattering!" 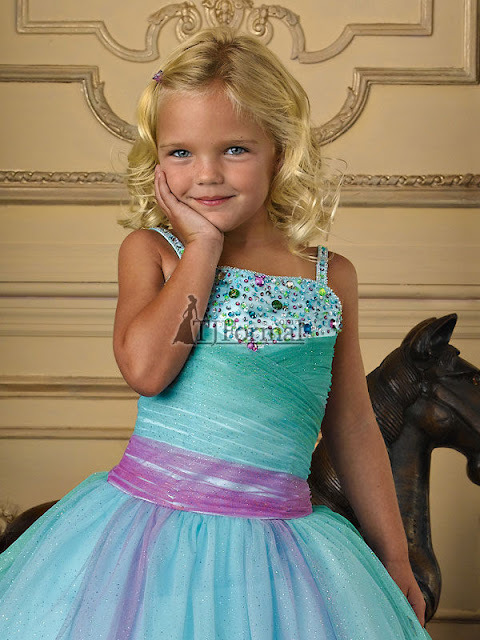 Yes, of course, we have a Pageant Dress department!